As a truck driver, you spend long hours on the road – many times overnight. Although these trips offer the opportunity to enjoy peaceful time to yourself, it can sometimes be difficult to stay awake. You never want to drive if you feel like you are about to doze off. Use these truck driver safety tips for staying awake on the roads. First things first, you need to make sure you get enough sleep. While many think they only need four to six hours of sleep, the research says differently. Experts recommend you get at least seven hours of sleep per night, or you risk having mood problems and difficulty concentrating. 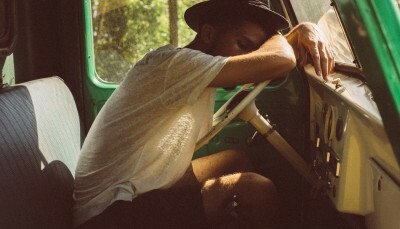 If you get tired while driving your truck, sleep is exactly what you need. Don’t withhold sleep from your body, as this can interfere with balance, coordination and decision making ability. In addition, you run the risk of falling asleep during the day. Another important step to ensuring you stay awake on the roads is to take naps when you feel tired. A twenty minute power nap is all that’s needed to help replenish your energy. A simple nap can increase alertness, enhance performance and reduce mistakes. So, instead of fighting the sleep, pull your truck over to a safe location and get some much needed rest. Here’s a way to avoid dozing off that you might not have thought about: avoid big meals. Though you might spot some tasty eateries while driving along the road, it’s important to keep from eating too much. Excessive amount of food can make you tired later on, hindering your ability to drive. Limit your portions to prevent getting drowsy. If you are feeling just a little tired (not enough to take a nap) grab a cup of coffee from a nearby gas station or coffee shop. This can give you the little pick me up you need. Just don’t drink too much coffee, as it can lead to a crash, making you more tired that you were before. In addition, too much coffee can cause anxiety, disrupt sleep and lead to withdrawal. Finally, help yourself stay awake on the roads by getting a good amount of exercise. Regular exercise increases energy and reduces fatigue. This article describes some exercises you can do right inside your truck. Long drives on the open road can be great for collecting your thoughts, enjoying scenic views and taking some much needed time to yourself, but at times, tiredness does set in. To prevent yourself from getting drowsy on the road, make sure you get enough sleep, take naps, avoid big meals, drink coffee in moderation and get the right amount of exercise. 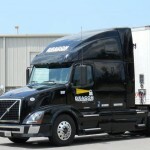 Want more truck driving tips? Here are 7 questions to ask to ensure you choose the right company to drive with.